Transoft, a leader in helping companies evolve their existing legacy applications, has completed a complex application migration project for Springfields Fuels Ltd (formerly British Nuclear Fuels Ltd). Transoft migrated Springfields Fuels’ critical Control Systems Application Software for its Oxide Fuels Complex from an ageing HP (DEC) OpenVMS VAX platform to an open and more flexible Windows Server environment. Transoft used its Legacy Liberator toolset for OpenVMS to automate the majority of the migration process and hence shorten delivery times, minimize costs and ensure the quality of the migration. Transoft competed in an open EU procurement process to win this prestigious contract. It has migrated these applications using its Legacy Liberator toolset to an HP Proliant Windows Server 2003 Enterprise Edition environment. The Pascal code was converted to C and, together with the applications' C code, was transferred to operate on the target platform with Oracle 10g replacing the proprietary Rdb database. Transoft Open Libr8 and Open DCL products have also been deployed to support the replacement of the OpenVMS systems services and DCL scripts respectively. Additionally, with the system in a single programming language, Springfields Fuels is able to maintain it within the more productive Microsoft Visual Studio development environment. Springfields Fuels will reduce their operating costs and obtain greater reliability for the future. Transoft, part of IRIS, is a leading provider of innovative and pioneering modernization solutions, with hundreds of thousands of organizations worldwide using our products and services. Our aim is to enable our customers to increase business value and maintain competitive advantage by maximizing the potential of existing applications. This provides rapid return on investment, reduced costs, improved productivity and efficiency, and the ability to manage operational risk. With over 20 years’ experience, and expert staff dedicated to servicing the needs of organizations with legacy systems, we pride ourselves on a tailored approach to customer service. Major organizations such as The Gap, L’Oreal, Boeing and Balfour Beatty have enjoyed the business benefits of a Transoft application modernization strategy. We work with a large network of VARs, System Integrators, ISVs and technical partners to offer unparalleled solutions. As an organization, the IRIS values are customer focus, honesty & integrity, innovation, passion and service excellence. Springfields, near Preston, Lancashire, is the site of the UK’s main nuclear fuel manufacturing operations. The site was established in 1946 under Britain's atomic energy project, and has been manufacturing nuclear fuel ever since. 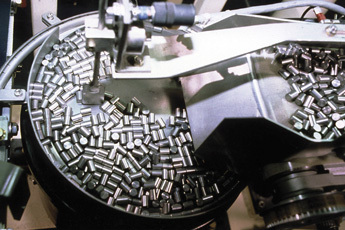 Springfields was the first plant in the world to make nuclear fuel for commercial power stations and has the technology to manufacture fuel for all major designs of nuclear reactors worldwide. Most of the fuel requirements for the UK's nuclear power stations are met by Springfields and around 15% of all the electricity generated in the UK comes from power stations using nuclear fuel manufactured at Springfields. OpenVMS and Oracle Rdb both continue to be actively maintained and developed (Oracle just today released a new version of Rdb). Another somewhat misleading statement is this: “Oracle 10g replacing the proprietary Rdb database.” – Oracle 10g is just as proprietary as Rdb is. With respect to proprietary, Oracle 10g offers no advantage over Rdb.